The (Impending) Winter Season . . .
December 2010 has been consistently cold with daytime temperatures below freezing. This weather has brought to an end the first growing season documented by Wildflowers of the West Village. 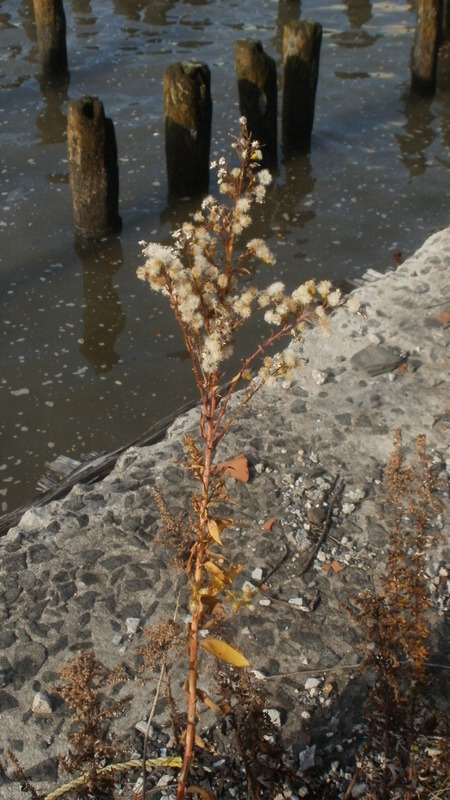 The flowering species of late summer and autumn have all at last surrendered to the impending winter. Even the Common Plantain, Plantago major, has succumbed; its lobed leaves now resemble deflated green balloons resting prostrate on park lawns and pinched between the cracks of red brick courtyards. A few of the cold weather species have reappeared despite the frosts and fine layers of snow that have marked this festive garland string of icy days. One of these is chickweed, profiled back in June, which has begun to green the borders of sheltered lawns and tree pits in the neighborhood. Life endures, even thrives, even within the checkered microcosm of urban corners. The American city may not possess the wide swaths of indomitable nature like Montana, but Manhattan, as my own little investigation of the West Village has proven, has just as tenacious a natural world. One need only substitute a magnifying lens for a pair of 7×50 binoculars to see it up close. My daily hikes in search of wild plants have been put on pause as other nature activities engage me. One is botanical illustration of the wildflowers I have written about during 2010; images rendered in colored pencil I plan to post during the winter months. 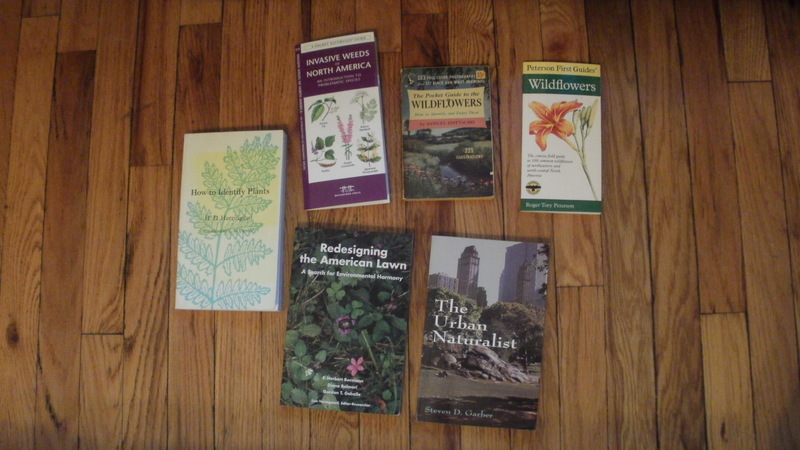 A second branch of activity is a series of book reviews of the print resources I have used in my ongoing wildflower research and writing. The third is an archival project. I have taken close to two thousand photos since I began to research and profile the wildflower species that call the West Village of Manhattan home. Some sort of order is called for here, so I have begun to file images by specie and by type (bloom, leaf, so forth), no small task. During this weeding out process (pun intended), I have already found at least six additional species that I have yet to write about. There shall be additional new profiles as well as some book reviews and essays on subjects taxonomical during the upcoming winter months. So . . . Stay Bloomed!